Brian Jacobs, M.D., is Vice President, Chief Medical Information Officer (CMIO) and Chief Information Officer at Children's National Health System. He also serves as the executive director of the Center for Pediatric Informatics. In this capacity, he directs the Children’s IQ Network®, a pediatric health information exchange in the Washington, D.C., metropolitan region. 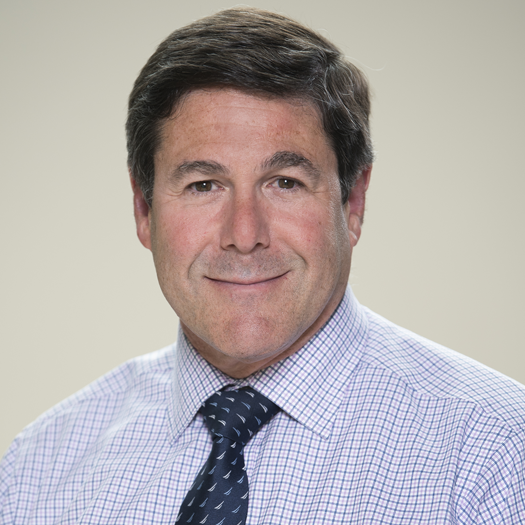 Dr. Jacobs is a professor of pediatrics at the George Washington University and an attending physician in the pediatric critical care department. Prior to joining Children’s National, he was a professor of pediatrics at the University of Cincinnati, as well as the director of technology and patient safety at Cincinnati Children’s Hospital Medical Center. While at Cincinnati Children’s, he oversaw the implementation of their electronic medical record (EMR) system and was the principal author and winner of the HIMSS Davies Award. Dr. Jacobs has authored numerous journal articles, book chapters, abstracts and scientific presentations. He frequently shares his knowledge in the pediatric space as a guest lecturer at conferences, leadership forums and hospitals. He is a fellow of the American Academy of Pediatrics and the American College of Critical Care Medicine. Dr. Jacobs is also a member of the Society for Pediatric Research, the Association of Medical Directors of Information Services and serves as a member of the HIMSS Board of Directors. He was named to the 2017 Becker’s Hospital Review Top CMIOs list.